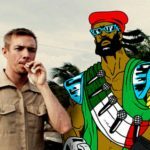 Major Lazer have been slowly revealing the tracks from their forthcoming Peace Is The Mission full length, most recently releasing the dancehall-inspired “Too Original.” Jovi Rockwell and Elliphant join the trio on what turns out to be a Caribbean-inspired, festival banger by the time Rockwell wraps up her verses. WAVO, Major Lazer and Dancing Astronaut have teamed up to bring our readers a once-in-a-lifetime opportunity to remix one of the biggest acts in the genre today. Whatever your production style, whether it’s disco, drowned-out trap, drum and bass, or high-energy electro, don’t be afraid to step outside the box — Major Lazer have built their careers on doing just that. Submissions and voting close – Wednesday, June 25th.